What is Cannabidiol? Unless you’ve spent the last 5 years entirely unplugged from the outside world, chances are you have heard about the amazing benefits of CBD. 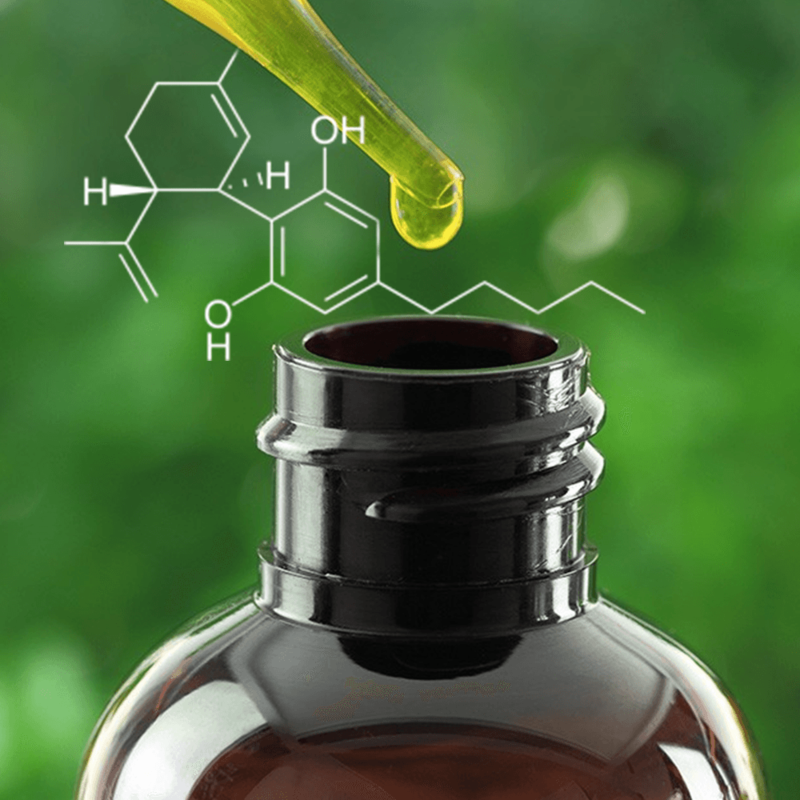 The fact that people from coast to coast are suddenly using this wide array of products is alarming to some folks, but the reasoning behind that is they have no idea what Cannabidiol- otherwise known as CBD– actually is. We’re going to spend the next few minutes explaining this chemical compound, making it as easy to understand as possible. It may seem like something that’s just appeared on the market, but it’s been around for longer than humans have walked the earth. When written as a chemical formula, C21H30O2 sounds scary, but in reality, this combination of molecules has been inside members of the Cannabis Family for millennia. Officially discovered in 1940, Cannabidiol is one of the most highly concentrated compounds of approximately 113 found in the plants. CBD works with the Endo-Cannabinoid System within the body of every mammal on the planet meaning our bodies are designed to work with it. You may be prescribed a thousand different products by your doctor, but this is something that is hard-wired into your system. Unlike Tetrahydrocannabinol (THC), another major component of Cannabis plants, CBD is non-psychoactive. This means that it will not get you high while giving your body the boost that it provides. CBD actually counteracts the psychoactive properties of THC, and the higher the concentration the more it works. While it currently only has one Federally recognized use, research is coming out (almost daily) for an impressive list of problems that can be alleviated with CBD products. While we have already put together an in-depth look at the health benefits you could receive from using Cannabidiol, there are a few points to note. As of right now, the only health benefit confirmed by the FDA is in the reduction of epileptic seizures in very specific cases. Everything outside of that, they say is unfounded and unresearched. While they can make that claim, there are millions of people around the globe who disagree with them completely. Everything from insomnia and stress to helping schizophrenics and even fertility treatment has been crediting CBD’s ability to help balance the body, but we will be diving more into those at a later date. I Thought Cannabidiol was Illegal. Hemp based products with less than 0.3% THC are legal at the Federal level in the United States, thanks in large part to Senator Mitch McConnell and his push with the 2018 Farm Bill. While Cannabidiol products are legal at the State level, you have to be careful what you buy and where you are. Some States only recognize the single FDA approved product and still see everything else as contraband. The history of CBD’s legality in the United States is both long and annoying, it was banned for half a century because it came from something that looked like Pot and was therefore bad. A lot of older people will still see CBD as the devil’s lettuce, simply because a great propaganda machine lied to them for most of their lives. Take a look in every Gas Station, Grocery Store and everywhere online. You will see that Cannabidiol is in a massive boom right now. As with everything else in the world though, you have to be careful what you buy because not all CBD products are created equal. Is the product Full Spectrum or Isolate? Does the company have verifiable lab results for the products it’s selling? There is a checklist as long as your arm for picking the right company before you even start looking at product choice, but that’s why CBD Manual is here. Our job is simply to make your journey into the world of CBD as simple and painless as possible. If you came here with the question “What is Cannabidiol?”, we hope that we have provided you with answers. To break it down to its simplest form, CBD is a chemical compound found in members of the Cannabis family that has the potential to change the way we all look at medicine.